Sara Kapadia shared this information about her Nanu, Dr. Rabeya Ahmed. In Sara’s language, Bangladeshi, ‘Nanu’ means Grandmother. 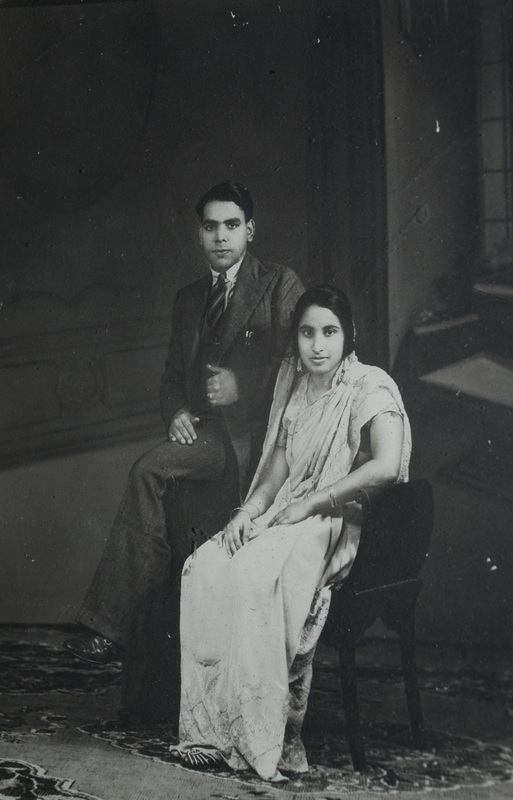 The photo above is of Rabeya Ahmed and her husband Abu Nasar Kabiruddin Ahmed before the India partition. In 1947 during the partition of British India my maternal grandfather was killed. My maternal grandmother thus became a widow at the age of 25. She and her three kids were in refugee camps for three months and her brother in law who was a Lieutenant in the Indian Army found her and helped the family cross the border into what was then East Pakistan. This brother in law went on to become a General and the Sylhet Airport,Osmani International Airport is named after him. 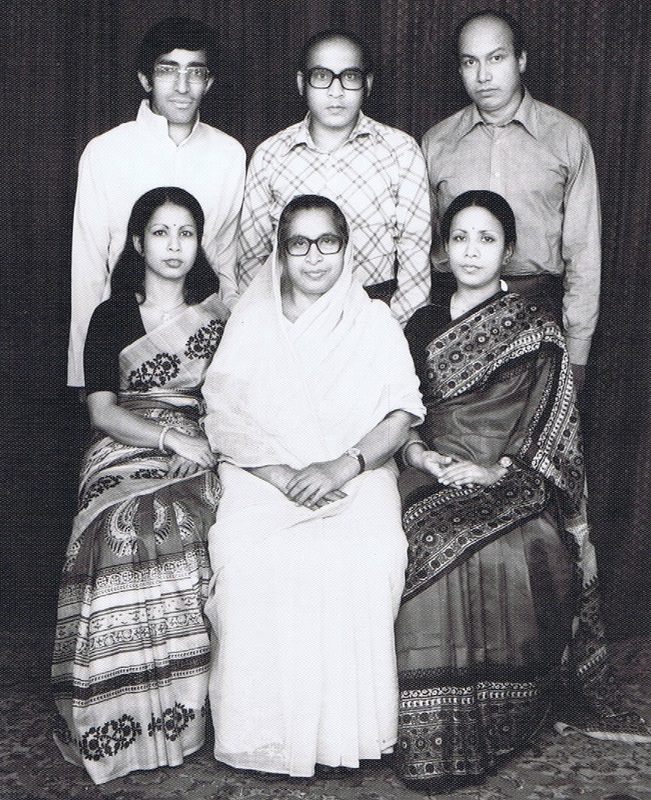 My grandmother left her three kids with her parents in Bogra and went to Dhaka to study Medicine. Her mother looked after her own two kids and her three grandchildren. Once my grandmother became Dr. Rabeya Ahmed, she began practicing medicine, helping many poor villagers for free. On my grandmother’s back, her three children and her many siblings were able to grow and thrive. My own Mother got several foreign scholarships and moved to London, UK. My Grandmother’s brothers became Engineers, Lawyers and one became a quite famous movie director. East Pakistan then became Bangladesh. My Nanu remained a widow her whole life and became known as ‘Dr sister/aunt etc’ as it was rare to have a female doctor at that time. The photo below is of Dr. Rabeya Ahmed with her daughters by her side (their husbands behind them) and her youngest child, her son, directly behind her. My own Mother is to the left (her hair is not tied), and my Father is standing behind my Mother with glasses.